Abnormal psychology is concerned with abnormal thoughts, behaviors, and feelings. However, not every abnormal thought, behavior, or illness is a part of a mental disease. Abnormal psychologists generally work on treating mental illnesses that exhibit abnormal behavior in humans. It is rare to find programs specifically dedicated to abnormal psychology, but degree programs in clinical psychology cover a similar coursework. While abnormal psychology studies the causes and effects of psychological diseases, clinical psychology focuses on the identification and treatment of mental illnesses. Psychology coursework generally includes topics such as psychological testing, psychotherapy, research methods, and neuroscience. Generally, master’s and PhD programs in psychology offer research opportunities and clinical experience as well. Psychologists need to have a PhD degree and a license to practice. However, some entry-level positions in psychology may be available without a PhD degree as well. Both research and clinical skills are a major part of PhD programs in psychology. PhD programs also provide students the opportunity to specialize in a sub-discipline of psychology such as health psychology, abnormal psychology, industrial psychology or child psychology. The duration of a PhD program can be five years or longer, depending on the internship and dissertation requirements. Once a student earns the PhD degree, he/she can sit for the Examination for Professional Practice in Psychology (EPPP), which is required by most states in the US. A PhD in psychology has a number of pros and cons. Students need a PhD degree in order to acquire a license to work as a clinical psychologist. Besides, the employment opportunities for psychologists are likely to rise at a faster rate than the average of all occupations, according to the Bureau of Labor Statistics (BLS). With a PhD degree, students can also opt for academic or research careers, besides the clinical ones. Other than that, the admission to PhD programs can be quite competitive, and around ten percent of applicants get the admission. However, some psychologists such as counseling, school, and clinical psychologists earn less than the other psychologists. In order to complete a PhD program, students need to complete coursework related to research and various psychology topics. They also have to complete clinical training with the help of internships and practicum. Students may have to present a doctoral dissertation, besides taking an all-inclusive examination. Some programs also require students to select a concentration and take a certain number of courses related to it. Some major courses that are a part of PhD programs include intervention and therapy, statistics, personality, psychopathology, psychological assessment, and clinical research design. In order to enhance career opportunities, students can earn a specialty certification after their PhD from the American Board of Professional Psychology. The specialty certification indicates the proficiency of a psychologist in a particular area. Specialty areas may include clinical neuropsychology, clinical health psychology, and rehabilitation psychology. The specialty certification requires individuals to have a PhD degree from an accredited program and a license. For the certification, a review of credentials is done and an oral examination is required. Candidates may also need to take a written exam, depending on the specialty. Only a few online schools offer degree programs in abnormal psychology. However, individuals can take various online courses in abnormal psychology, without having to register as a student. Some online bachelor degree programs offer a specialization in abnormal psychology, while some online master programs in psychology include a course in abnormal psychology. Online schools may also have some specific programs in abnormal psychology, such as eating disorders, mood disorders, and anxiety disorders. Not all online psychology programs lead to a degree or certification. However, online programs do offer degree options such as master’s and PhD programs in psychology. Some online programs also give students the choice to select their own courses. Students may select abnormal psychology courses, if they find suitable faculty members for the course. The career prospects for psychologists are quite optimistic. According to the data provided by BLS, the employment opportunities for counseling, school, and clinical psychologists are likely to increase at a rate of 22% between the years 2010 and 2020, which is much higher than the average growth rate of all occupations. The demand for clinical and counseling psychologists will be there as they are needed to treat mental disorders and help people deal with different social situations and problems. Q:What does an online abnormal psychology course include? 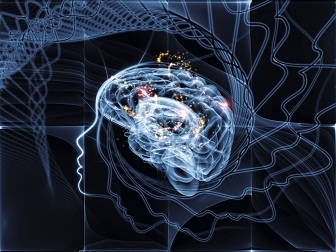 A:An online abnormal psychology course includes various topics such as clinical research of abnormal psychology, behavior/learning model of abnormal behavior, cognitive model of abnormal behavior, clinical assessment in abnormal psychology, introductory level anxiety disorders, stress disorders, eating disorders in abnormal psychology, personality disorders in abnormal psychology, factitious disorders and so on. Q:What are the careers in abnormal psychology? A:With a degree in abnormal psychology, you can work in various work settings. You could work as a clinical psychologist, counselor, clinical social worker or psychotherapist. You could work in large state-owned hospitals or have your own private practice. Typically, you will need a license to practice, according to particular requirements set by your state. Some master's and doctoral level practitioners might also be employed in mental health clinics, correctional facilities or juvenile detention centers. 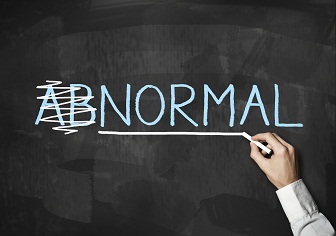 Q:Normal vs abnormal psychology, can you tell me difference? A:Normal psychology can be described as the study of human behavior and the general behavioral response of a population. This field emphasizes the normal and acceptable traits and behaviors of humans. Abnormal psychology is the study of unusual human behavior that may also include mental disorders. Both fields can be studied as an academic discipline.